Are you ready to put herbs into practice? The Melissa and Yarrow membership is a resource for all backyard and budding herbalists. If you have ever struggled to find good information on identifying plants, learning more about herbs, growing your own herbs, creating preparations, or nearly anything else herbal, then this is a tool you need. Get your herb nerd on today! My mission is to inspire, encourage and educate budding herbalists as they begin growing their own herb gardens, building their home apothecary’s and using herbs in daily life. The goal of The Melissa and Yarrow Membership is to get 2000 herb gardens and home apothecary’s along with herbalists to use them by the year 2020. I choose to follow this mission and meet this goal by building this membership and growing it at every turn so YOU will have access to the knowledge you need to make herbs a part of your daily life with ease. So come on in in and join us! Tired of wondering how to use the herb knowledge you’ve gathered? Access to a download library full of free printable resources to help you along your herbal journey. Plant profiles on herbs to get you started. Plant identification library with ample photos in all stages of growth on many herbs that you can find out in nature and in your own back yard. Herbal terms library, a long resource for the many terms you'll run across while on your herbal journey. 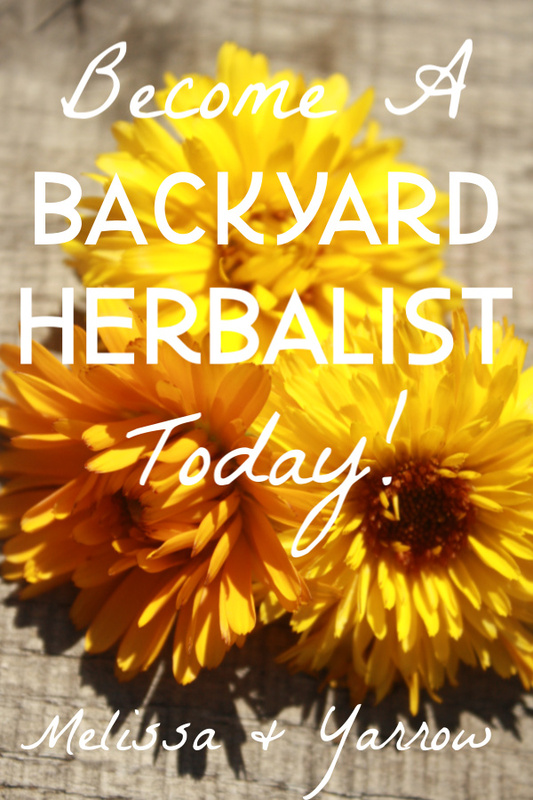 Ready to become a successful backyard herbalist? Access to all the free membership goodies. Extended Download Library filled with printable recipes for you to try out! Even more Plant Profiles and Plant ID’s that are only in the full membership. Intro to Herbalism course so you can start your herbal journey on the right foot! Video’s that walk you through how to create remedies, harvest herbs, grow your garden, build your apothecary and so much more! Access to special courses created just for this membership that are in line with our mission to put herb gardens and apothecary’s back in homes along with herbalists to use them! You will find written and recorded and printable information in this membership, along with helpful connections through access to me and the Facebook group members. Gain access to the full membership for $14.95 a month. Or Save 23% and purchase a yearly membership! New information will be added to the membership nearly every month. You'll also be added to my monthly newsletter by signing up. AND you can always pop on over to Facebook and ask questions or request additions to the membership! Every BAckYard needs an herbalist! I cannot wait to see you in there! Gain access to an important herbal resource, Join the free Melissa and Yarrow Membership today!